The Vista Farmers Market features over 50 farmers selling what they grow; local, certified, and organic growers with in-season produce. Actual, real farmers with an abundance of avocados, persimmons, apples, oranges, strawberries, peaches, and other fruits and vegetables. Farmers also sell dates, eggs, nuts, juices, honey, cheeses, sausages, plants, wool, flowers, and grass-fed meats. In addition, there are more than 30 food makers — prepared food artisans that sell fresh bread and other baked goods such as pies, cupcakes, and cookies, as well as sauces, salsas, dips, and pickles. All are available fresh each week. There are also hot food vendors serving breakfast and lunch. Over a dozen makers and crafters attend each week with their soap, pottery, clothing, hats, jewelry, gifts, dog treats, and more. Each week features a variety of musicians as well as several services such as knife and tool sharpening, and massage. The market has over 600 free parking spaces. The Vista Farmers Market is located at the San Diego County Courthouse, 345 South Melrose Drive, Vista, CA 92083, just south of Highway 78. 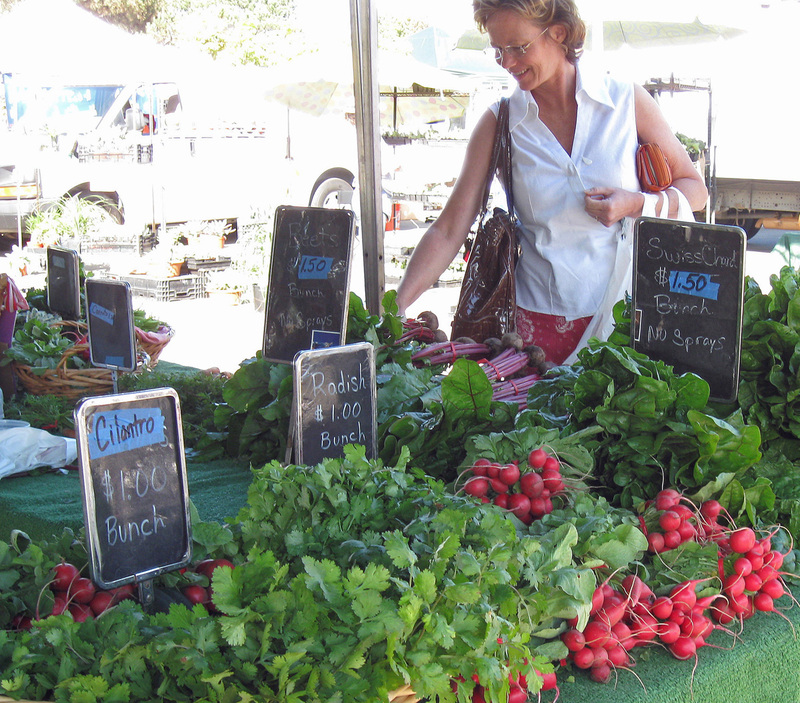 The market is open every month, every week, every Saturday – regardless of the weather – from 8:00 am until 12:00 noon. We’ve been operating since 1981 and are first farmers market in the county and one of the oldest markets in the state. The Vista Farmers Market consists of FIVE marketplaces. There is the Food Specialties Marketplace which consists of foodmakers and farmers who produce what they sell . . . whether bread, baked goods, pesto, honey, almonds, or cheese. There is the Certified Farmers Market which is only farmers who sell what they grow and who benefit from being in a Certified Farmers Market through exemptions for labeling, packaging, or sizing requirements. Then we have Worlds Fare serving foods from ethnic traditions around the world — European, Arabic, African, South American, and more – – – including a farmer who buys from market farmers to produce his dishes. The Artisans Marketplace features local entrepreneurs who sell what they make . . . this groups varies over time. Clothes, pottery, wooden crafts are within the variety available. Finally, there is the Gardeners Market — which is farmers and craft makers who sell items for your garden . . . plants, pots, soil amendments, and more.